Plantation grown hardwood frame and legs in a black/brown finish. 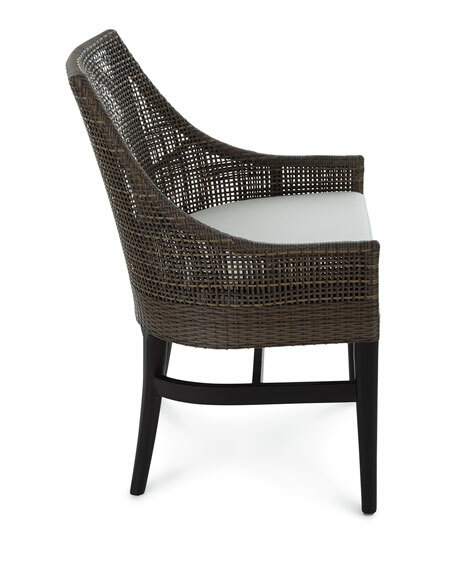 Double wall back features woven synthetic rattan peel in a mocha finish. Side Chair features fixed upholstered seat. 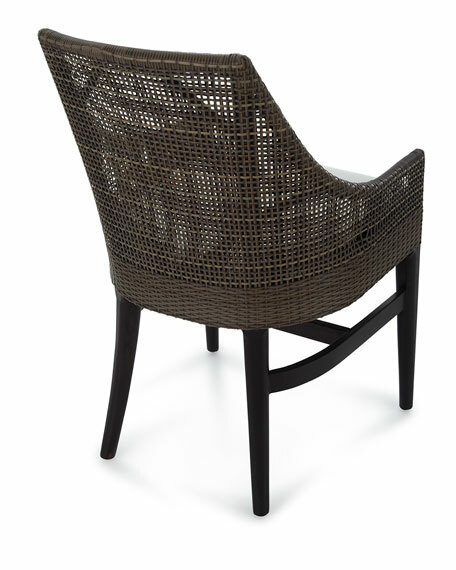 Back of chair woven from synthetic rattan peel makes for easy cleaning. 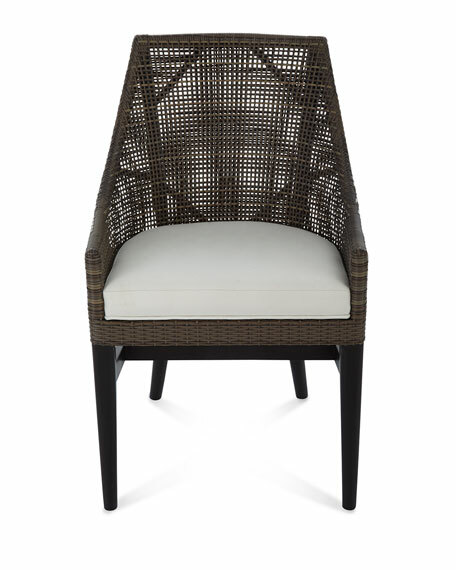 Synthetic rattan Sunbrella® acrylic seat back. Overall, 20.5"W x 22.5"D x 33.8"T.